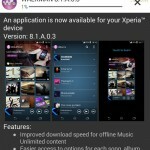 A new Walkman app version 8.0.A.0.3 OTA update is now rolling on Xperia Z devices. 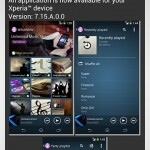 It’s the latest build over previous Walkman app version 7.15.A.0.0 which as brought many new features this time. Walkman app version 8.0.A.0.3 OTA Update is already confirmed on Xperia Z1, Z Ultra and Xperia Z, it should soon hit other devices also ( Xperia ZR, ZL, SP etc hopefully ). It has bring the new playlist features besides bug fixes. Check in your update center app it may or may not be showing a notification for Walkman app version 8.0.A.0.3 OTA Update as shwon below. If yes download it otherwise look for the manual downloading link below. Enjoy a 30 seconds free preview out of millions of songs from the Music Unlimited streaming service. New playlists for “Newly Added” songs, “Most Played” songs and “Track ID history” ( depending upon the version of Track Id ). Possibility to save playlist shared by your friend. “Now Playing” indicator for songs, albums and playlists. Performance enhancement and bug fixes. Though “Track ID History” didn’t appear for us, may be because of the Track ID version installed. Below Walkman file is extracted from our Xperia Z1 C6902. Just for sake of concern do let us know which Track ID version you are playing, we have version 3.82.06 installed on our device. 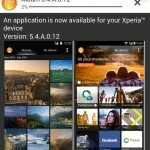 Xperia L, M, SP, T, V, S, SL, Acro S, Ion, E, J users try installing the app, it may work. Download the Walkman app version 8.0.A.0.3 and let us know if it worked on your device or not. It seems pretty nice till now, let us know if you find any other major changes in the app other than mentioned by Sony. thanks..will upload screenshots to my Xperia L fb page. there is something wrong with the link, it is downloading mobogenie file not walkman!!! downloaded through chrome, earlier I was using opera mini..
thanx for the apk, keep doing the good work. parse error for me. 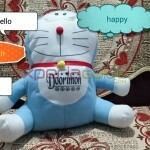 Xperia ion. 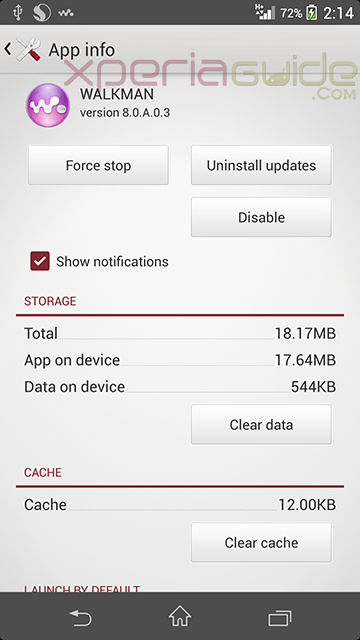 I have TrackID version 3.71.13 in my Xperia L. How to update TrackID, it is not listed in My Apps in Play Store. 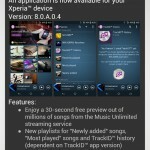 Any suggestions..
TrackID 3.83.13 is compatible with my Walkman 8.0.A.0.4 in Xperia tab z 4.2.2. In my Walkman playlist I can see track is history. 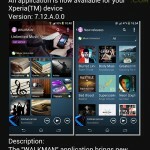 I can not install the walkman app! 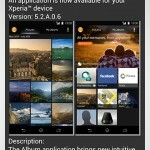 could someone, if indeed one has a xperia M, I present the apk?